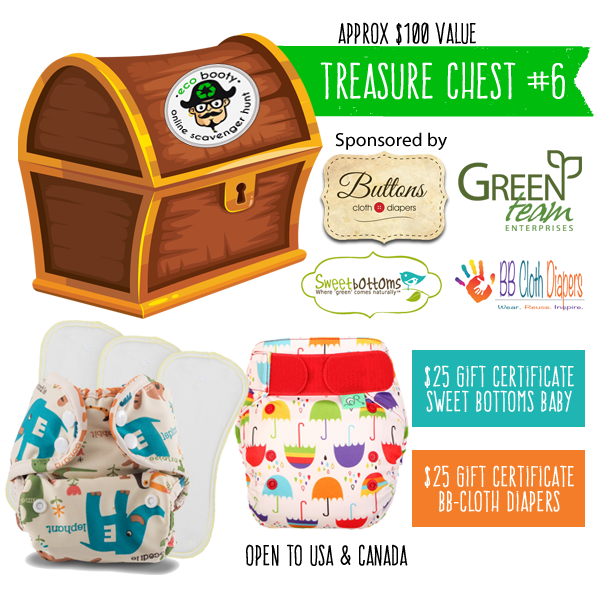 From cloth diapers, skin products, to baby care essentials you will be sure to LOVE the prizes for you and your family in this years Eco Booty Hunt. Start hunting now and collect as many entries as you can! Good luck! Complete the mandatory Rafflecopter entry. This way we know where to email if you win, and we’ll also send you news about the hunts. Almost all prizes are open to the U.S. and Canada. This entry was posted in Blog and tagged cloth diapers, eco booty hunt, eco booty scavenger hunt. Bookmark the permalink.